WASHINGTON — U.S. President Donald Trump has approved the State Department’s implementation plan for the administration’s “Buy American” push for boosting weapons exports that emphasizes the U.S. economy, the State Department announced Monday. The Trump administration is undertaking an effort to support U.S. defense trade overseas to strengthen security partnerships, encourage interoperability, and protect American economic security and jobs, said the State Department’s Tina Kaidanow, who was in London leading the U.S. delegation at the Farnborough Airshow. “The point is that it is exactly reflected in a place like Farnborough, where we are supporting U.S. economic security, and we are also achieving a number of national security goals in conjunction with our important partners and allies overseas,” the principal deputy assistant secretary of state for political-military affairs said in a call with reporters. The implementation plan for the rule changes, announced in April, are in part meant to reverse the perception that the State Department is a frequent site of logjams in the Foreign Military Sales process. Officially called the Conventional Arms Transfer policy, it’s intended to help private U.S. defense firms directly sell some types of weapons and unmanned drones to allies without the firms having to go through the U.S. government. Since April, the U.S. government has been working on implementation plans with industry, which hailed Monday’s move. 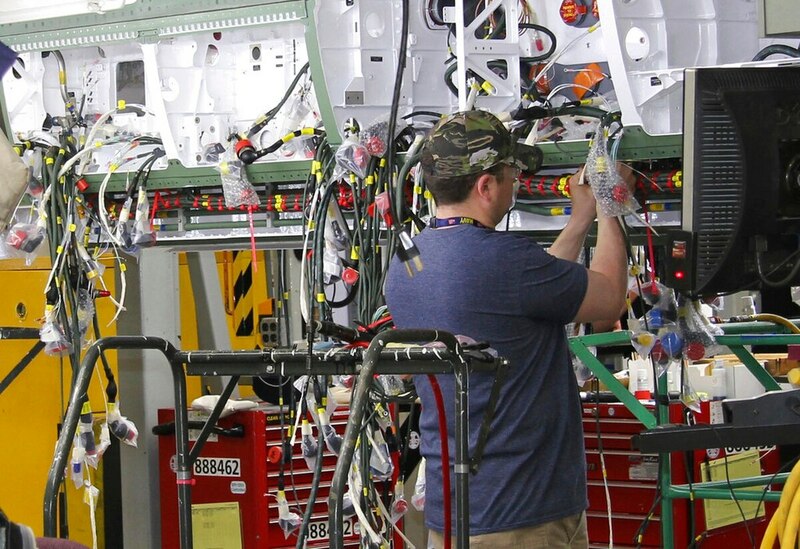 Aerospace Industries Association CEO Eric Fanning said its recommendations for a strategic focus, whole-of-government coordination and enhanced accountability feature prominently in the implementation plan. The U.S. already leads the world in arms transfers. In 2017, the State Department approved $42 billion in government-to-government sales; and so far this year, 2018 is on track to beat last year at $46 billion. The State Department, under its plans outlined Monday, would help allies to identify critical capability requirements and employ a whole-of-government effort to expedite transfers. The plans also call for State to work with the defense industry to build exportability into its designs and development efforts, expanding support for non-program-of-record systems, and by incentivizing increased production capacity and timely delivery. The State Department would tweak relevant rules, like the International Traffic in Arms Regulations framework; expand and enhance government advocacy and trade promotion in support of the American defense industry; and avoid offsets that imperil domestic jobs or reduce America’s technological edge. The implementation plan may finally give the Defense Department and military services some much-needed direction on how to better align itself for arms deals. The Air Force was standing by to hear from the White House — through the Defense Department — on how to move forward, its undersecretary, Matt Donovan, told Defense News on the sidelines of Farnborough. Valerie Insinna, in London, contributed to this report.